It is difficult to plan these long-term trips so that the right celebrations land in the right places. Our Thanksgiving in Bangkok satisfied many of our Thai cravings, Carmen’s birthday in Koh Tao provided a much needed beach to relax and Christmas in Hoi An was spent with friends and gifts to ourselves from the tailor. A New Year’s party in Hanoi just kind of fell in to place, and, how could we complain when draught beer is served on the sidewalk for 25 cents a glass! So we pulled up a tiny stool, we pulled our jackets tight and enjoyed this wonderful historic city. 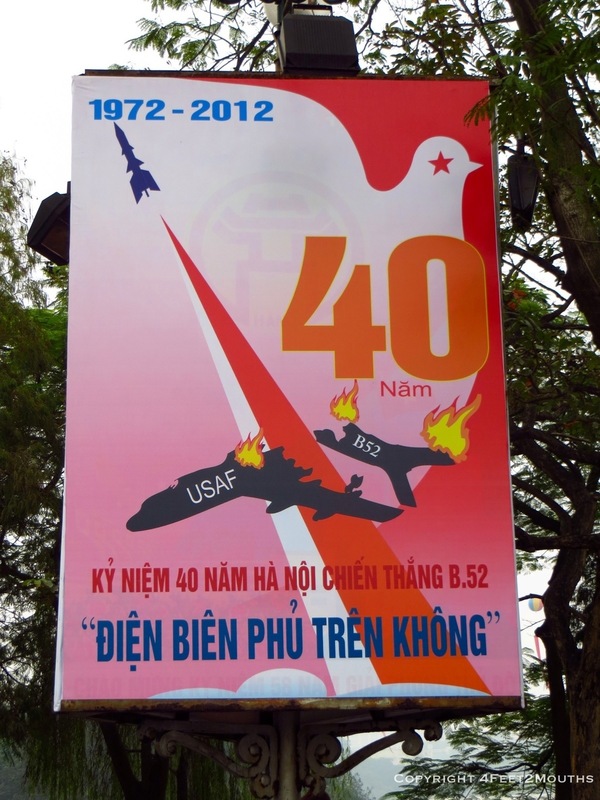 Immediately we noticed banners around town that celebrated the end of the war between the U.S. and Vietnam and most specifically to remember those that died when downtown Hanoi was partially destroyed during the “Christmas bombings” forty years ago. 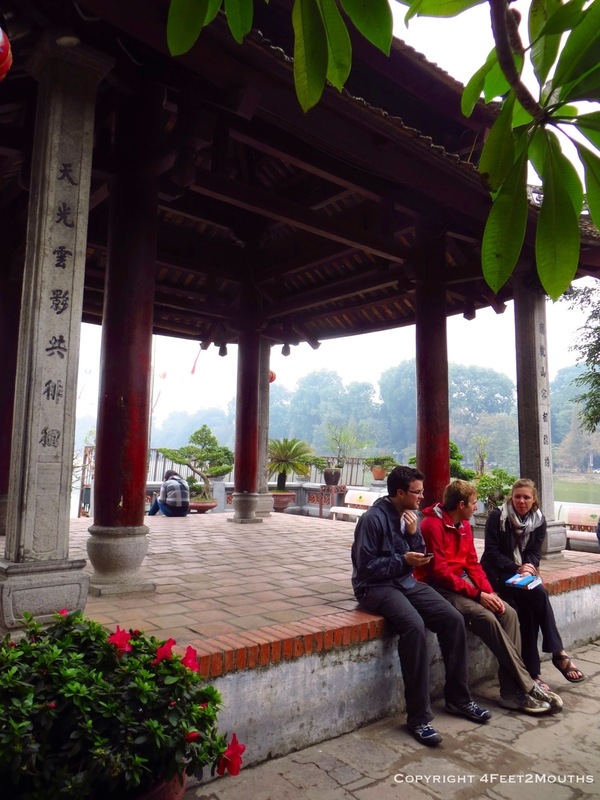 Despite this history, the people throughout our journey in Vietnam have been welcoming and kind everywhere, including Hanoi. Our first morning was bitterly cold and all that we wanted was some noodle soup. 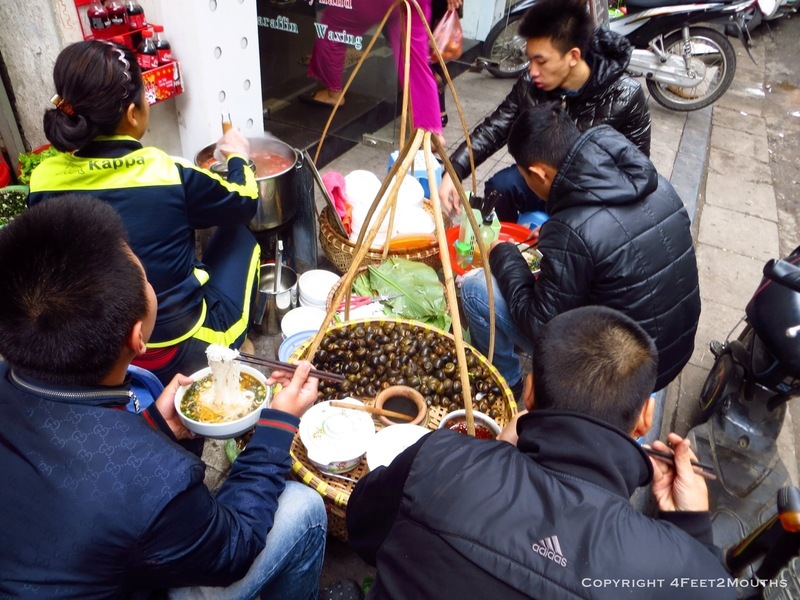 We settled on a Hanoi speciality of bún óc, snail soup. We watched as a woman picked out some 100 steamed snails for each bowl, then she topped it with a tomato broth, some green onions, cilantro, cooked mushrooms and some sliced tomatoes. A bowl of mint and basil promptly landed on the center of the table with another bowl of roasted chillies in oil. I have not had snails but a few times in my life, and these were delicious, a little chewy and holding the spicy flavor of the broth. 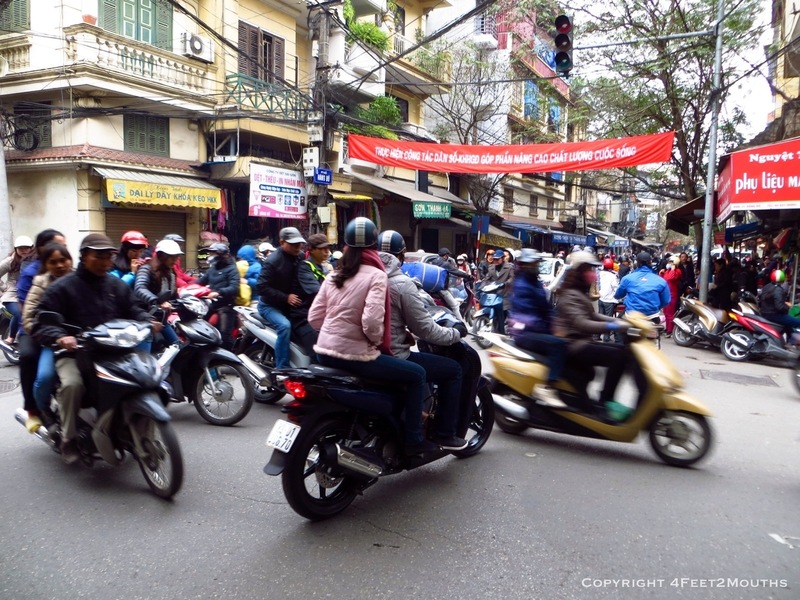 We quickly realized that there is a deeper history in Hanoi than some of the other cities we have visited in Vietnam. The architecture, the sights and the planning show evidence of centuries of development to become the big city that it is today. We stayed in the old quarter that is vibrant with shops, street food and out-of-control scooters. Crossing the road has been a bit tricky, but we are getting the hang of the “slow moving rock in the river of vehicles” strategy. 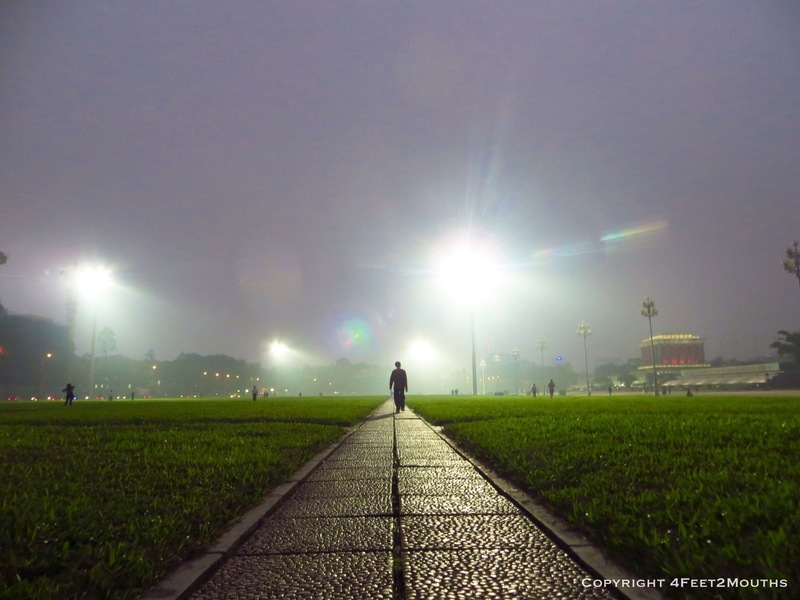 We all sighed with relief when we made it to Hoam Kiem Lake with its pedestrian walkway. We walked around the lake, but unfortunately did not spot the 400lb tortoise that supposedly lives in it. 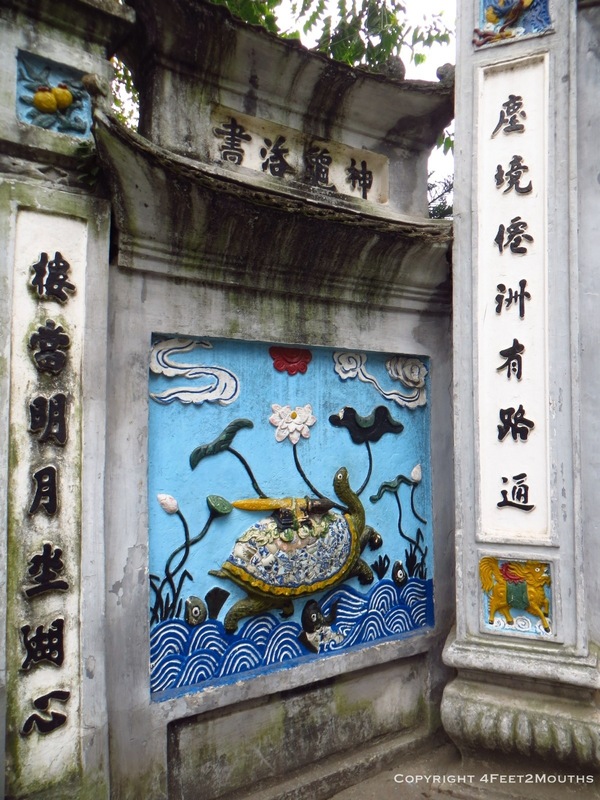 We did enjoy the Ngoc Son Temple that is ornamented with turtles that symbolize wisdom and longevity. We toured the Women’s Museum that highlighted the female role in the development and sustenance of Vietnam. 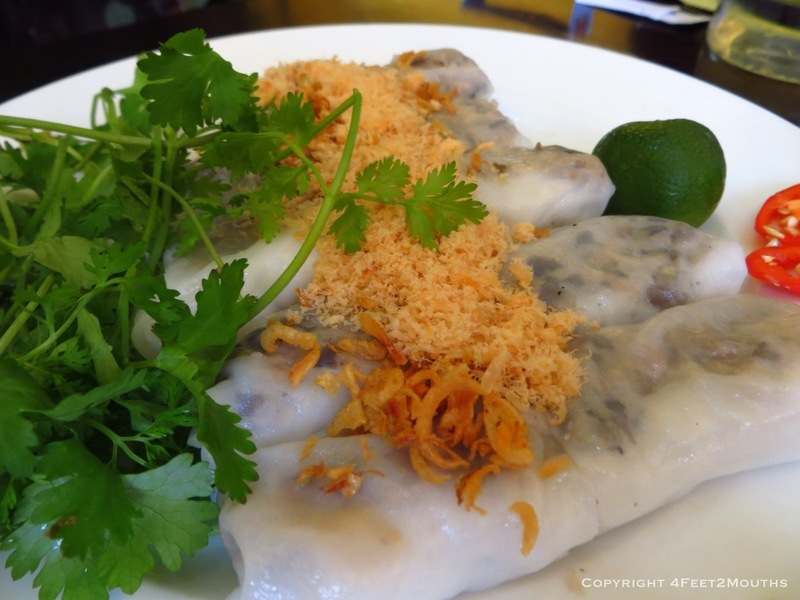 If you want to be overcome with choices of things to eat, then try Quan Ngon. There are about thirty kitchens in tiny stalls that surround this one restaurant. The menu was enormous, but we went for some of the basics:fresh spring rolls, savory rice cakes, barbecued spare ribs and sweet jelly soup. 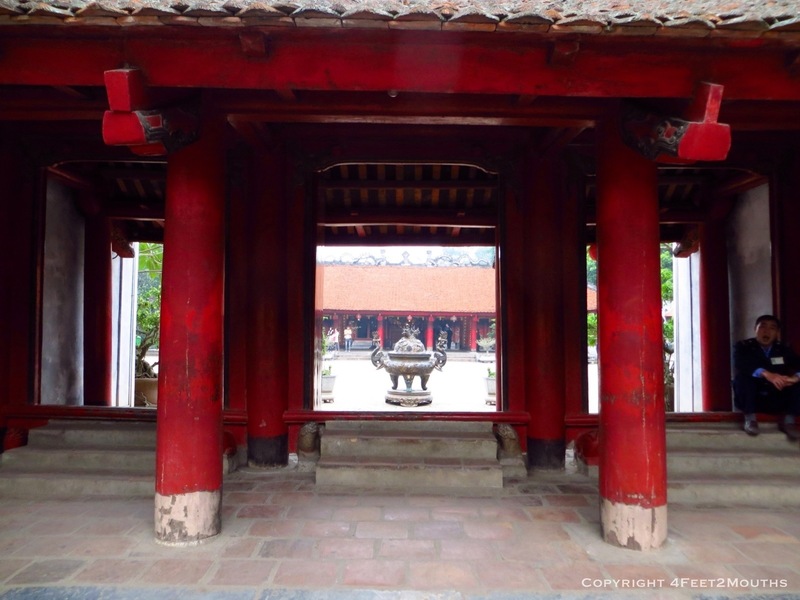 Then we explored the Temple of Literature dedicated to several Confucius disciples. Each gate brought us closer to the inner sanctum of holy carvings. I particularly liked these dogs that were cast in in the courtyard. 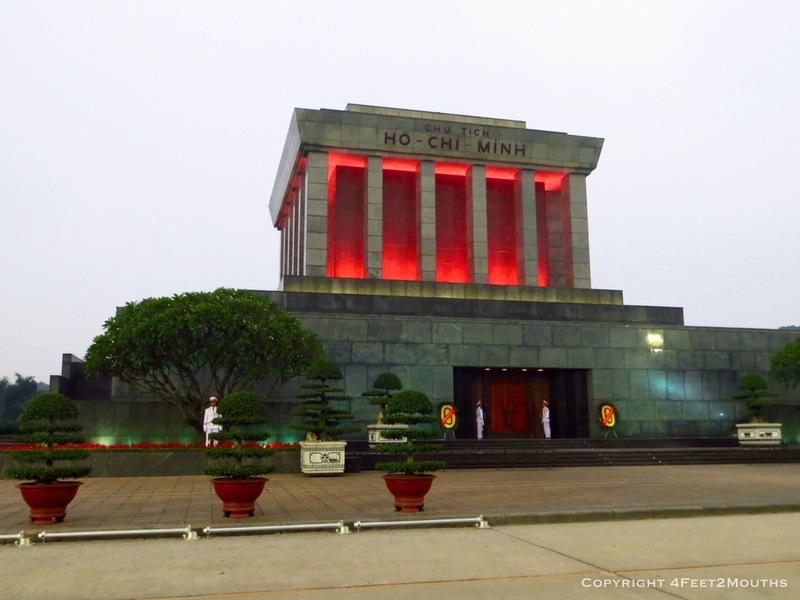 As evening approached we made our way to the Ho Chi Minh Mausoleum. We did not go inside, but the outdoor plaza was vibrant with activity with hundreds of power-walking Vietnamese. New Year’s Eve approached quickly and we had little planned. 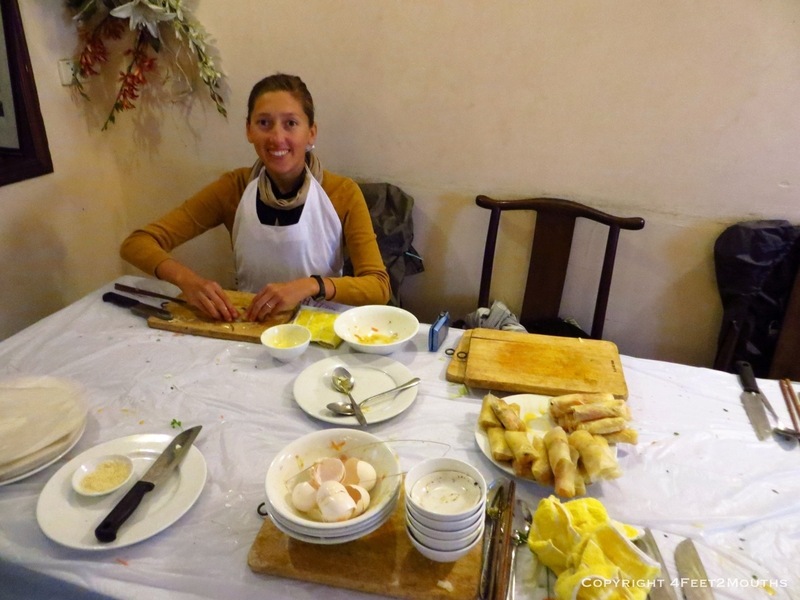 We began the day with a cooking class taught by Anh Tuyet. We learned how to make a Vietnamese-style papaya salad, fried pork spring rolls and a baked “no-stir” fish. All of it was amazing. Anh even snuck in some of her famous honey chicken and fried bananas leaving us enormously full and happy. Just as I was hoping to go crazy on the last night of 2012, I contracted a cold. Sickness is never fun while traveling. I struggled to get through the cooking class and I ended up having to miss the day’s activities to sleep off the sickness. I was able to get it together for a feast at a fusion restaurant. The place made all types of pâtés and cold cut meats and served them with warm baguettes and a light salad. The four of us, Carmen, Jonathan, Julia and I, chowed down and continued the celebration walking around the lake to people watch and enjoy the performance stages setup around the city. All the biggest names of Hanoi Hip Hop were probably there, but we enjoyed some of the big-screens showing pop ballads, acrobatics and synchronized dance sequences. The night ended with a few drinks a classy tiny bar in old quarter. We rushed to see the Ho Chi Minh City ball drop on the television at the hotel, cheers to friends, cheers to the last night of 2012, and cheers to our last night in Vietnam. I woke up feeling like crap; drinking and being sick equals more sick. Our friends were gone and we would be leaving Vietnam soon too. It was difficult to stay positive when there was a 26 hour bus journey looming in front of us to Laos. All this made me sad and frustrated, I really enjoyed everything about Vietnam, the variety of sights, terrain and cities. 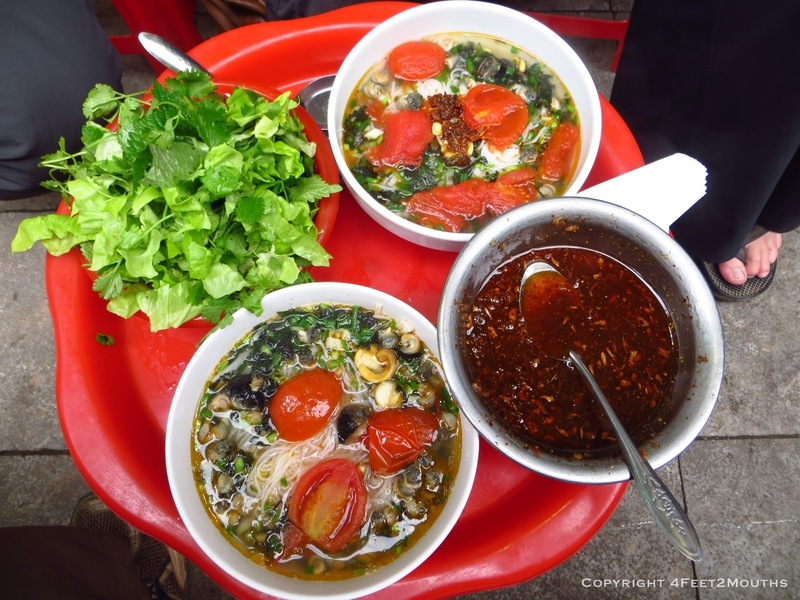 The absolutely fabulous food is enough to visit Vietnam again soon. 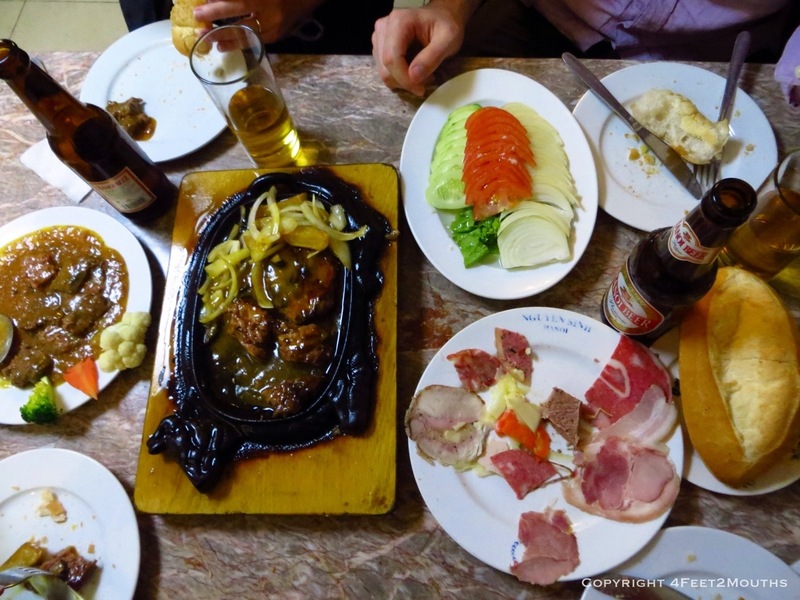 Everyday we had phenomenal dishes and it was difficult to go wrong, everything we ate was delicious. Soups, sandwiches, noodles and barbecue, the Vietnamese make it all and make it better than most. I wanted comfort food, and bún châ was it. The little man outside was surrounded by smoke as he pounded and grilled pork in thin baskets. 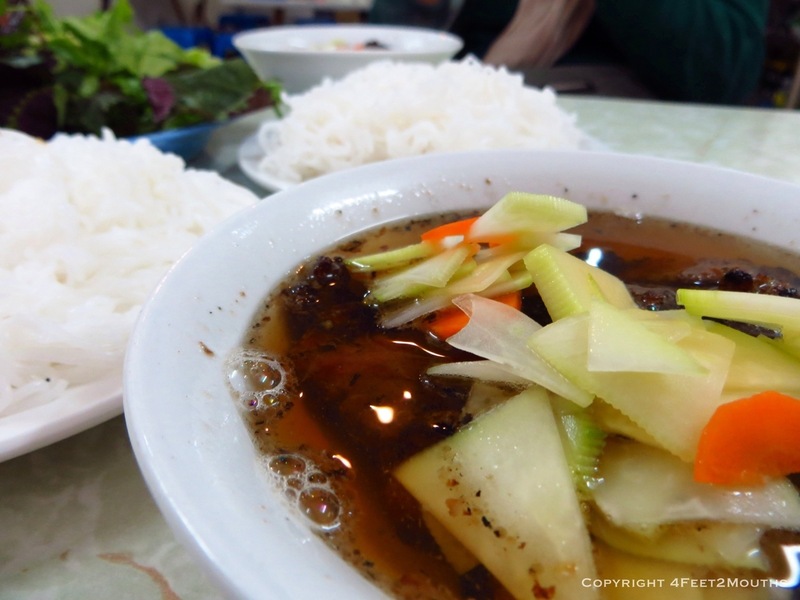 They sliced it up, added some rice noodles and some broth and served them to our table. Instantly Carmen and I were feeling better. I’m going to miss Vietnam! So is 2013 the year of the turtle? 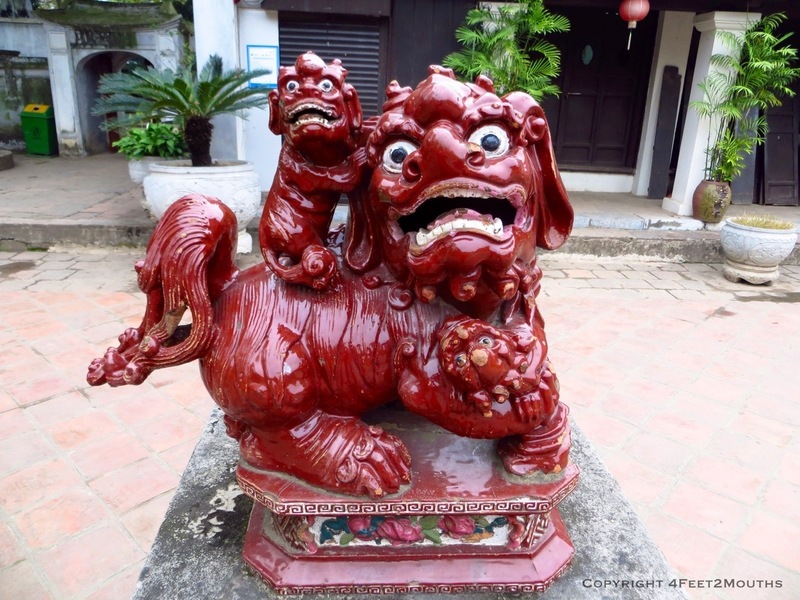 Nope, year of the snake…watch out!